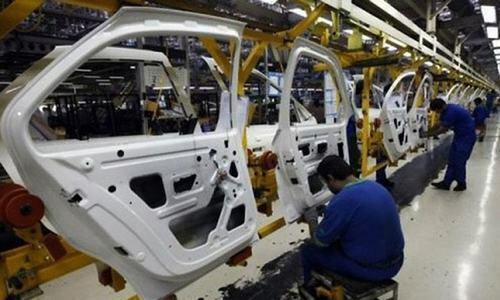 Pak Suzuki to discontinue Mehran finally! According to a recent news circulating, Pak Suzuki has decided to discontinue Suzuki Mehran from April 2019. 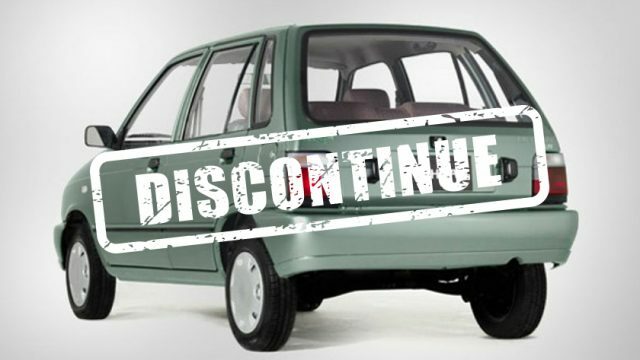 The discontinuation of Suzuki Mehran has been long overdue and it seems that Suzuki Pakistan is finally pulling the plug. 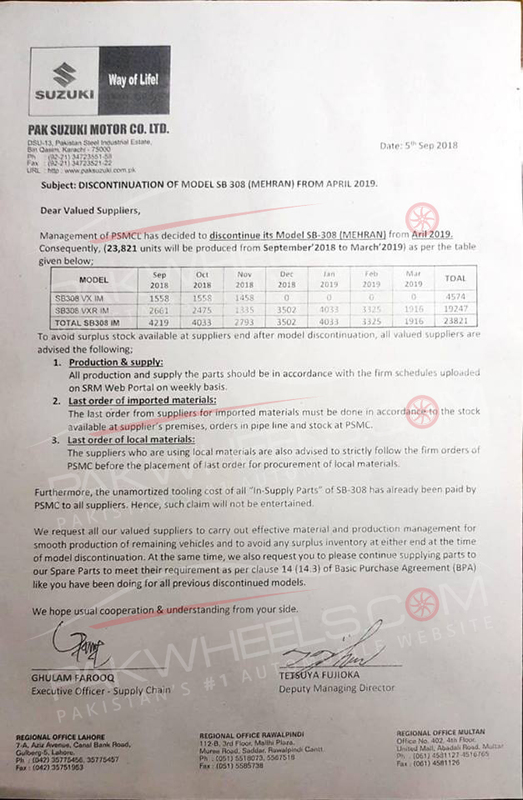 According to the new notification issued to vendors, the production of the VXR Mehran variant will be stopped for good from April of the next year. Not to forget, in July 2018, the company issued a notification regarding the discontinuation of Suzuki Mehran VX variant from November 2018. The circular also states the no. units of Mehran VXR, Pak Suzuki will be producing till March 2019; the last month of production. However, according to Pak Suzuki management, the circular has been issued for the vendors from the production department. Furthermore, the management said that Mehran is the best-seller of the company and that no old car will be discontinued without the new models being introduced in the market. Pak Suzuki notification also requests its suppliers to only provide the necessary amount of parts to avoid any surplus. Mehran has been in production since late 1988, which makes it a 30 years old hatchback. For more updates regarding this news, please stay tuned to PakWheels.com.